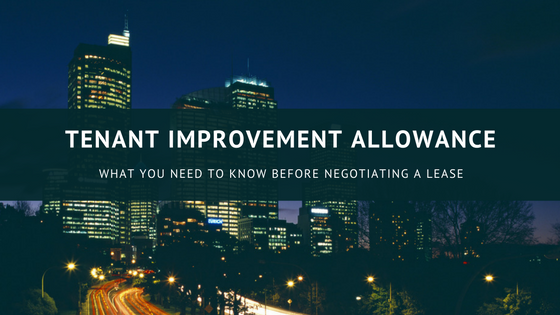 How much Tenant Improvement Allowance can you expect? Your credit strength is the most important consideration for the landlord. The landlord will factor the tenant improvement allowance into their return on investment. The landlord needs to recoup their investment over a certain number of years. The less credit or operating history of the tenant, the more risk they will not be repaid. In a very hot market with multiple offers many landlords will offer the space in as-is condition and refuse to provide a tenant improvement allowance. In a very slow market, a desperate landlord may offer a substantial tenant improvement allowance to secure a tenant. Developers often offer a substantial tenant improvement allowance for new construction projects. They have already factored in the cost of the tenant improvement allowance into the overall cost of the project and projected rents. Warning!! A tenant improvement allowance of $30.00 per square foot may seem very generous but the devil is in the details. Developers often provide a “dark shell” and the tenant improvement allowance may only cover your cost to complete work that would have been provided in an existing property such as bringing the utilities to your space or providing concrete floors. Be sure to understand the landlord’s scope of work before signing a lease. 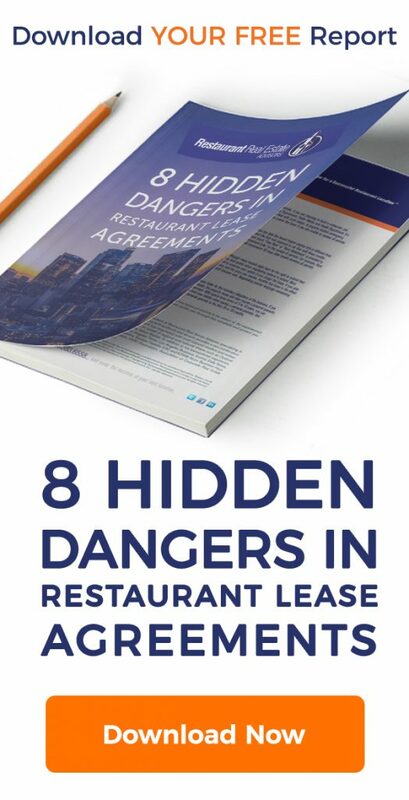 Many first time restaurateurs do not budget enough money for their construction based on the landlords contribution of a tenant improvement allowance. For example, if the total cost to build out the restaurant is $300,000.00 and the landlord is contributing $60,000.00, the restaurateur will often only budget $260,000.00. This can create a serious cash crunch or halt construction. A Tenant Improvement allowance is not a cash advance. The landlord is agreeing to reimburse the Tenant a certain amount of money upon certain conditions being met. As you can see there are many conditions to be met and a minimum of 90 days after completion of Tenants work before the landlord is required to reimburse you the tenant improvement allowance. Like most things in life, the more experience you have, the better prepared you will be to succeed. Restaurant real estate advisor experienced with both lease agreements and restaurant construction. Attorney specializing in commercial lease agreements. Architect knowledgeable about restaurant permitting and design needs. Contractor experienced in restaurant construction. Hi Mark, I’m contacting you in regards to a building we are renovating here in Amity Oregon heart of the Willamette Valley wine region. I’m not sure if this is something you do or not. I”m looking for a restaurateur to occupy the space of 2000sq/ft in this 1905 brick building. Currently, the space is gutted out ready for a tenant. Looking forward to hearing back from you if this is something you do. Hi Dave. I referred a broker to you a while back. Please let me know if you met with them.If you still need help let me know. I’m glad I came across your page. I am in the process of doing a letter of intent with my broker to open a quick casual noodle restaurant. The place is a second generation location so it already has a hood, grease trap, sink, walk in fridge men/women restroom. I would like to know if I need anything else in terms of building permit beside the basic appliances, stove, freezer, furniture’s seating. This location has been closed for a little over a year. It was previously a Japanese teriyaki restaurant. If the restaurant has been closed for more than a year there is a good chance you will need to go through full plan review with city and health department. I would try to have health department take a look and find out what they will require. Negotiate enough free rent to get your permits and construction done. I really like your blog for its rich content and information for all newbie restaurateurs. Thank you for putting up this information. It is very helpful. I’m trying to do a forecast. Is there a place where I could get industry averages for things like – a typical rent free period for a site, security deposits, lease length and rent escalation? It’s very market driven and based on supply and demand. I would just try to negotiate a lease that makes sense for your business. I am in the process of negotiating the TIA. The total build out cost is around $160k. How much should I be negotiating for the landlord to help out? I am not sure what is the reasonable rate they can offer. It’s for a 1,400 sqft restaurant. Many thanks in advance for your help and l am looking forward to hearing from you! I sent you direct email. Let me know if you need additional info. I am still in negotiating the TIA before signing the 10 years term lease. The building is 4000 square foot, was a Pizza restaurant before and it closed down for 2 years. The landlord had spending some money to remodel the building, but it does not have grease trap, walk-in cooler, hood is not working, and the restrooms are not code to ADA. My plan is to convert it to a Teppanyaki(Hibachi) Japanese restaurant with a sushi bar. The total cost for permanent investment (not removable) in the building is about $355K. The question is how much do I ask for TI reimbursement? Please let me know ASAP. Thanks! I would try for $40-$50.00 per square foot or a combination of TI money and additional free or half rent to offset some of the costs for improvements that should stay if you were to move. Hi I am looking at a 3000 square foot “white box” with no bathrooms and no utilities for a bar and restaurant. Build out with permanent kitchen appliances will be about 400k and LL is offering 125k in TIA. Area is about 5 years shy of its potential gentrification model. Is LL being reasonable? It depends on the cost to bring utilities to the space. Are you responsible for connecting to sewer lines and bringing water into the space or just electric and gas? I would ask landlord for a shell letter describing everything they will provide in the shell and then price out the cost prior to accepting. $125,000 sounds reasonable depending on what landlord is actually providing. My question is this — I’ve been told that a LL expects to recoup the TI amount in 1.5 to 2 years. That is, if you take the total rent over that time, it should equal the amount the LL spent on TI. Is that generally accurate?